Action Fleet is proud to have a part in this year’s Super Bowl. 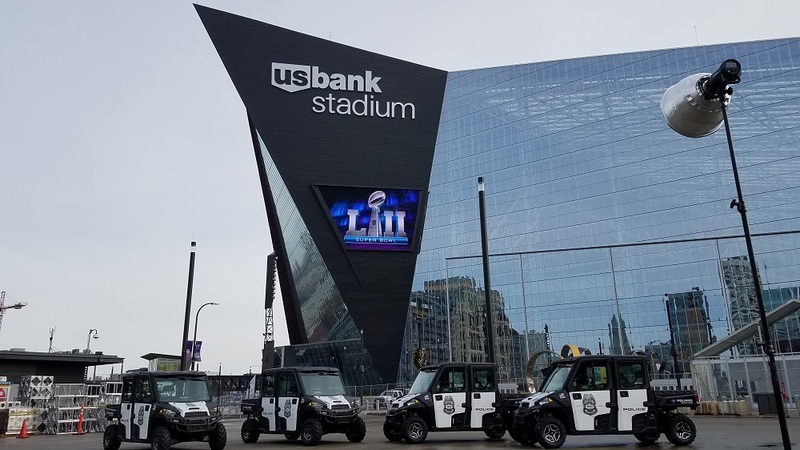 Action Fleet installed lighting on 10 Polaris Rangers that are being used for patrolling the area around US Bank stadium and Minneapolis for the upcoming Super Bowl LII. Polaris donated the Rangers to the Minneapolis Police Department for use leading up to the big game. Polaris also donated 3 Rangers to the Minneapolis Fire Dept that Action Fleet also upfitted.